Three years ago in June, Debbie Clement approached me about an opportunity to begin a chat like no other. A chat with the express interest in helping other teachers learn the ropes and participate on Twitter. Twitter can be an ominous social platform for people, so we decided it was worth our time to give back to our teaching community. It has been an amazing success! For weeks upon weeks we have helped many teachers learn how to participate in online professional chats on Twitter. This effort has been rewarded with many new friends, and our PLC continues to grow. Our weekly guests come from many areas of the education community, with topics from Growth Mindset, STEM/STEAM, Coding, Reading and Math instruction and much more. We strive to find experts who can help all of us to better the way we communicate with and help our students. I am so proud to be a part of this group. Along with Debbie Clement, Kristen Poindexter and Cindy Price, I feel there is value in growing our online PLC. We are not paid to do this job, so it is a conviction to give back that keeps us motivated. Rocking Dan the Music Man has also done a little promo on youtube for this massive giveway! Thanks Dan! 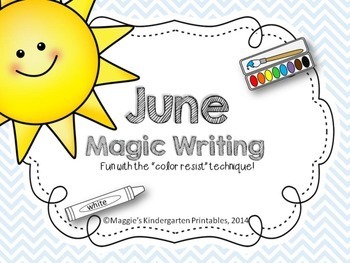 If you are excited about this GIVEAWAY at #TeacherFriends, and you LEAVE A COMMENT, I will choose two people that comment these super fun Magic Writing Centers for June and July! Be sure to get a Twitter account if you don’t have one, and meet us Tuesday, June 27th at 8:00 EST for Early Bird Chat. We’ll be there to help you navigate the waters and participate in chat! 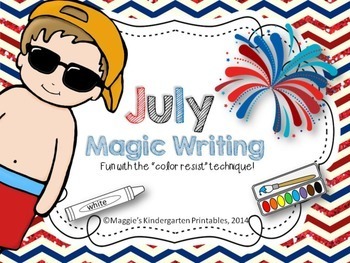 We must begin early so everyone has a chance to sign up for prizes, and to be able to tweet out the winners! Come Get Your Twitter Feet Wet and Win Some Prizes Too!